The students of MiNDS are a busy bunch; most of our waking days are spent in the lab, reading publications or working hard towards writing things of our own. 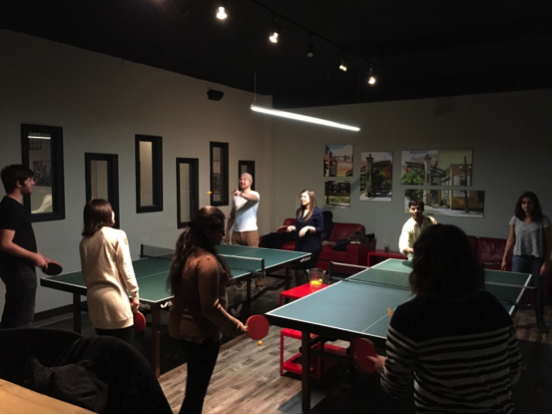 This past February, the Students of MiNDS Association (SOMA) decided to have everyone trek downtown to explore one of the many exciting venues that the city of Hamilton has for us to explore. 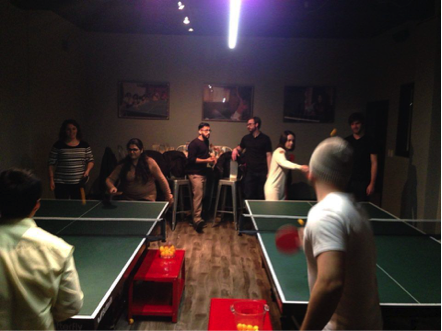 The setting for the Winter SOMA social was Serve Hamilton, a ping pong bar on King St E.
With our own private room with two tables, it didn’t take long for ping pong balls to start flying all over the place. Second years Calan and Shawna planning to beat whoever is on the other side of that table! 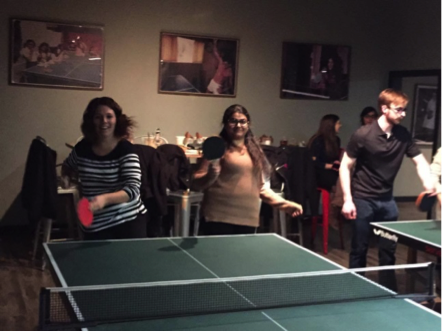 There may not have been an organized ping pong tournament, but competition was still in the air. 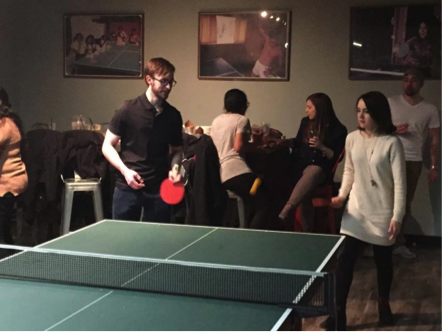 Ping pong doesn’t exactly generate the image of an intense sport, but these MiNDS students still gave it their all and built a hefty appetite over the night. 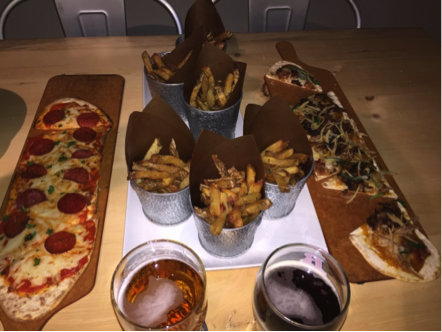 Some of the delicious food from the night! 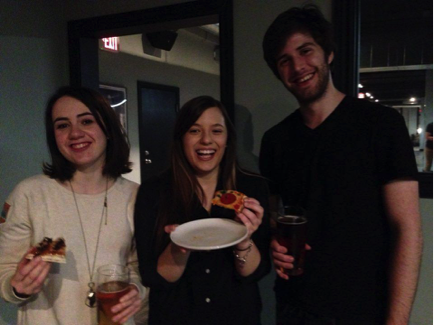 A combination of the good food and drink and even more wonderful people led to a very enjoyable evening. 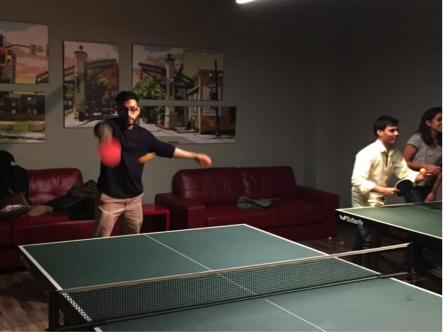 Some enjoyed a game of ping pong for the first time ever; others discovered a unique new Hamilton venue and some even got in some exercise. For those that missed this event, remember to keep an eye on your inboxes in the upcoming weeks for ideas about a summer social. Those that joined this time around, we hope to see you again!